Licensed professional counselor (LPC) Hallie Sheade can’t remember a time when she didn’t love horses. She has been told that her equine passion started when she was 2 and begged to be allowed to ride a carnival pony without her mother holding her hand. Sheade, an American Counseling Association member, has taken riding lessons since she was 5, but it was at age 9 that she first encountered the path that would eventually lead her to specialize in animal-assisted therapy. One day, a horse named Cowman who had been labeled difficult and stubborn showed up at the barn where Sheade took lessons. True to his reputation, Cowman didn’t get along with the other horses — or with people. But Sheade believed that Cowman was just misunderstood. She could relate. After all, she was feeling misunderstood by her own parents. Sheade began spending hours with Cowman, often grooming the horse as she poured out her troubles to him. A bond formed between them, and Sheade became the only person with whom Cowman would cooperate. Then something interesting occurred. After months of spending time with Sheade, Cowman started to get along with other horses and to take direction from other people. And Sheade? Her relationship with her parents began to improve. “I felt calmer and more at peace after spending time with Cowman,” Sheade says. “I think it goes back to the fact that horses naturally embody [Carl] Rogers’ core conditions — empathic, nonjudgmental and able to offer unconditional positive regard. Therefore, just being with them can help us to feel more connected and understood, making it easier to tolerate life’s stresses.” She recalls that being the person Cowman chose to respond to also made her feel confident, capable and special. Sheade’s memory of what she and Cowman shared would grow into a fascination for the human-animal bond and a desire to use that connection to help others who are hurting. Although her story illustrates the potential power of that bond, it does not stand as an example of actual animal-assisted therapy (AAT). Simply bringing your dog to work so that clients can pet it is not the equivalent of AAT, say the specialists interviewed for this article. 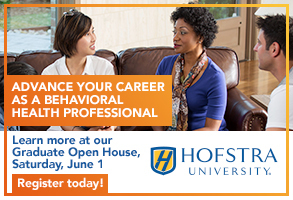 Counselors — and the animals with which they work — need the proper training for true therapeutic benefits to be realized. Therapy animals need the right temperament and training to work with people who are experiencing stress and distress, says Cynthia Chandler, director of the Consortium for Animal Assisted Therapy at the University of North Texas. In other words, a skittish and difficult-to-control pet dog is not a therapy animal, no matter how beloved it may be. 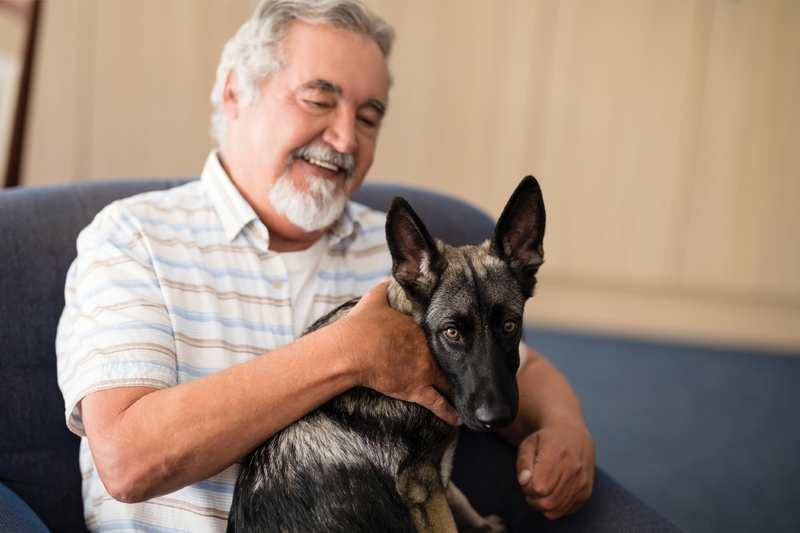 Well-trained therapy animals can help counselors establish therapeutic bonds with their clients more quickly and can also alert counselors to emotions that clients may not have expressed yet verbally. However, counselors must be properly trained to read these signals and work effectively with therapy animals, says Chandler, a member of ACA. “Using AAT requires understanding how animals interact as social beings and what that interaction can contribute to the psychodynamics of a counseling session,” says Chandler, whose book Animal-Assisted Therapy in Counseling is in its third edition. Counselors using AAT must have an understanding of species-specific behaviors — for example, how particular types of animals signal distress or give support — and an in-depth awareness of their own animals’ personalities. Possible therapy animals include pocket pets (such as hamsters), rabbits, reptiles, llamas, dolphins and cats, but the most common are dogs and horses. Chandler, co-leader of ACA’s Animal-Assisted Therapy in Mental Health Interest Network, believes that dogs and horses make the best therapy animals because they come from family systems and have lived with humans for such a long time. Their natural instinct is to include the counselor and client in their herd or pack, she explains. 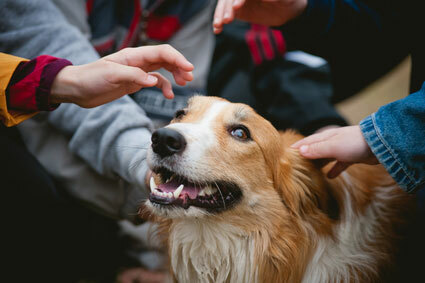 Like humans, dogs and horses also seek positive nurturing interactions. “[The desire for nurture] has a physiological basis,” Chandler says. “When we’re engaging in a nurturing touch, it releases oxytocin and endorphins.” When clients reach out to touch a therapy animal, they feel more socially connected, and their stress hormones go down, she explains. “[This] allows clients to feel safer to engage and discuss difficult issues,” says Chandler, who has another book, Animal-Assisted Interventions for Emotional and Mental Health: Conversations With Pioneers of the Field, currently in press. Horses and dogs are also excellent distress detectors, Chandler says. Both species are extremely good at sensing stress, through smell and body language, and then reflecting that stress is present in an environment, she explains. They communicate this through their body language, such as moving toward an anxious client to soothe the person or moving away when the situation feels overwhelming to them. They also give off other signals to alert counselors to important information, she says. For instance, a horse might prick up its ears or a dog might bark or repeatedly look back and forth between the client and counselor. Chandler jokes that horses and dogs are existentialists. They don’t like angst, uncertainty or resistance, and their natural inclination is to resolve issues, she explains. Chandler’s former therapy dog, Rusty, a red and white cocker spaniel, was known to walk over to clients who were resistant, put his head on their knees and just stare at them. Typically, Chandler says, tears would start forming in these clients’ eyes within about 30 seconds, and they would then begin to open up. Rusty would indicate his approval — and support — by jumping up into their laps. Through her personal practice, research and interviewing other animal therapy experts, Chandler has studied the human-animal bond and how it works in therapeutic settings. In the process, she has developed what she calls human-animal relational theory. When humans and social animals come together within the therapeutic setting, she says, a whole series of relational happenings occur, even if a dog is across the room or a horse is across a pasture. “How an animal engages or doesn’t engage will bring out something big in the client,” Chandler says. Being able to recognize the significance of the therapy animal’s behavior is the job of the counselor, Chandler says. “Hey, Jesse [Chandler’s current therapy dog, also a cocker spaniel] just woke up and jumped up in your lap. Why do you think she did that?” Chandler might ask a client. For Chandler, Jesse’s reaction might hint at resistance on the part of the client. Jesse, like Rusty, doesn’t like it when she senses that clients are holding back and will often jump into their laps and nuzzle them until they talk about what is bothering them. However, the client might assign a different meaning to Jesse’s action. Either way, Chandler marks the moment, and then she and the client process it together. Leslie Stewart, whose research focuses on AAT, emphasizes that it is important for counselors to recognize that AAT is a specialized form of counseling — just like play therapy or art therapy — that requires specific knowledge. Because animal behavior is never 100 percent predictable, AAT also carries an increased risk of harm, she acknowledges. But Stewart, who helped write the Animal-Assisted Therapy in Counseling Competencies endorsed by the ACA Governing Council in 2016, believes that in the hands of competent providers, the potential benefits of AAT far outweigh the risks. Risk reduction begins with informed consent. Counselors should always talk to clients about what they can expect if they decide to use animals in their counseling sessions and caution them about any potential risks, Stewart says. For instance, clients with previously unknown allergies could be at risk of anaphylaxis. Many animals shed, so clients should be prepared to find fur and hair on their clothing. Something as simple as a game of catch could cause accidental injury if a client takes a wrong step and pulls a muscle or breaks a bone. And even trained therapy dogs will bite under certain circumstances, Stewart notes. “In cases when animals’ needs aren’t perceived and met, they feel they need to react in ways humans see as aggressive,” she says. Becoming competent in AAT requires counselors to learn to recognize the early signs that an animal needs some space or has had enough and needs to take a break. Client assessment is also crucial, she says. Stewart, who has counseled survivors of sexual assault and juvenile offenders, doesn’t bring any of her therapy animals with her when assessing clients. Some clients are afraid of or simply don’t want to work with animals, she explains, whereas certain clients — such as those with a history of violent, impulsive behavior — perhaps shouldn’t engage in AAT. Stewart teaches AAT at Idaho State University, where she is an assistant professor of counseling. She works with three therapy animals: Killer the rabbit, a border collie named Star Sapphire and a German shepherd named Sophie. She emphasizes that knowing an individual animal’s personality is just as important as knowing species behavior. “Sophie is a big gentle dog, typical of her breed, sort of no-nonsense, friendly and enjoys getting human attention,” Stewart says. “She’s not a lap dog and is not going to be all over you, whereas Star Sapphire is going to be all over you.” The dogs show affection differently, and Stewart highlights the contrast to help students recognize that clients also express needs differently. Students learn what it means to be affectionate with Sophie. When she curls up four feet away, she’s showing affection. Stewart also asks them to figure out how to communicate affection to Star, even when they might prefer that Star not be all over them. Stewart also has the students use positive reinforcment-based obedience techniques to teach Star something new, such as sitting in a chair in class. By teaching Star, students are learning how to better communicate and deal with frustration when working with clients, she says. Stewart also provides education about how certain species view the world and what does and does not make a particular type of animal comfortable. “For example, a lot of humans want to hug dogs, but most dogs don’t like being hugged. It stresses them out,” she says. Students are tasked with redirecting a client’s need to show affection into an action that will not cause the therapy animal stress. For instance, Sophie likes to put her head on someone’s knee and get her ears scratched. Stewart also brings Killer to class. Rabbits’ actions are more subtle and require close attention — which also happens to be a necessary skill for counselors when working with human clients. As part of her path to specializing in AAT, Sheade studied with Chandler while getting her doctorate at the University of North Texas. She developed two models of equine-assisted therapy: equine-assisted play therapy and equine relational therapy. She now runs Equine Connection Counseling, a private practice that specializes in equine therapy. Sheade uses equine therapy with both children and adults. Equine Connection Counseling’s partner, Wings of Hope Equitherapy — an accredited therapeutic horseback riding facility — provides the space and horses. The therapy takes place primarily on the ground through interaction with the horses rather than on horseback. With children ages 3 to 9, Sheade uses equine-assisted play therapy, which incorporates horses into child-centered play therapy. Sessions are one-on-one in a play area that contains various toys and multiple miniature horses, which are slightly bigger than a very large dog. Sheade lets the child choose how (or whether) to interact with the horses. Many children want to immediately engage with the horses, while other children prefer to start with toy horses, she says. The children are allowed to groom the horses with brushes that Sheade provides or they can integrate the horses into play using various toys. For example, children might use the medical kit to give the horses a “checkup” or dress the horses up by putting a lei or boa around their necks or balancing a hat on their heads. Some children don’t interact with the miniature horses at all, choosing merely to play with the toys on their own. However, Sheade says the parents of those children often report that the horses are all their children talk about afterward. The horses serve as potent change agents, Sheade says. “They [clients] want the horse to want to be around them,” she says. Horses do not like chaos, however. It isn’t uncommon for children to run up and greet the horses, but if a child is emotionally dysregulated — for example, displaying behaviors such as defiance and opposition, uncontrolled energy or excitement — the horses will react in ways that do not communicate to the child “let’s play,” Sheade says. One horse might run off to the other side of the arena, whereas others might stand in place but show no interest in interacting, she explains. This is the horses’ way of giving feedback, but it is less threatening to a child coming from an animal than it is coming from a grown person, Sheade says. For example, one of Sheade’s clients was a young girl who was oppositional and defiant. She would approach the horses and get very frustrated when she couldn’t get them to do what she wanted them to do. Sheade helped her become aware that her actions, such as rushing up to the horses in a demanding and impatient manner, were actually driving the horses away. Children with social difficulties sometimes find that the horses don’t want to interact with them. When this happens, Sheade has them examine how they approached the horses. Was it in a physically threatening way? Did they speak in an angry tone of voice? As the children learn how to interact with the horses, they can take what they are learning and apply it to other relationships in their lives, Sheade says. The horses also offer emotional support. For instance, if a child is playing alone in the sandbox because he or she is sad or upset, one or more of the horses tends to gravitate toward the child to give comfort through their presence, Sheade says. Sheade also works with adults, particularly military veterans and others with posttraumatic stress disorder or other trauma. These sessions, using the equine relational therapy model, are also one-on-one and take place mainly on the ground with a herd of horses. Clients choose which horse they want to work with and usually stay with that horse throughout the therapeutic relationship. By inviting clients to pick a horse and have it be “theirs,” Sheade says she is encouraging a bond based on the therapeutic relationship. Although the primary bond is between the client and the chosen horse, the herd still participates, Sheade says. When clients are distressed, it isn’t only “their” horse that typically reacts. Often, the whole herd will gather. The sessions are usually a mix of activities and talking, Sheade explains. As clients speak, Sheade is watching the horses’ reactions. This can tell her more about how clients are feeling and often gives her an avenue to broach uncomfortable topics. For example, sometimes when veterans are talking about trauma, their horse might signal the herd to leave. Sheade then asks clients what they think prompted the retreat. 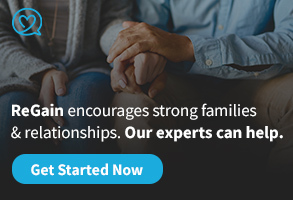 Usually, the answer is that the clients’ anxiety was building because they were struggling with a topic they didn’t want to talk about but knew they needed to address. With equine-assisted counseling, clients don’t necessarily have to talk specifically about what is troubling them, because interpersonal challenges are revealed in the way the horse and client interact, Sheade says. For instance, someone who is a survivor of sexual violence might not know how to assert themselves and say “no” to a horse. Or new clients might think that when the horses walk away from them, it is automatically an indication that they dislike the person. “What we’re targeting … is [the clients’] thoughts and feelings in the moment — what they believe about themselves or the horses,” Sheade says. LPC Shawna Corley’s therapy dog, Rylie, a Great Pyrenees-golden retriever mix, plays a vital role in establishing a sense of safety and trust with Corley’s clients, most of whom are trauma survivors. Children, in particular, find it easier to “talk” to Rylie, Corley says. One client, a 7-year-old girl who had been sexually assaulted by a relative, kept insisting that she was fine, even though she had been experiencing flashbacks. Corley, who doesn’t include Rylie in her intakes, gradually began bringing her into sessions with the girl. Once the client established a bond with Rylie, the girl could tell her anything she wanted, just like she was talking to a friend. Corley, who presented a session on incorporating therapy animals into counseling at the 2016 ACA Conference & Expo in Montréal, would sit apart from the client and Rylie, but close enough to hear. The child would audibly whisper into Rylie’s ear that she felt bad or sad. Corley, a private practitioner in San Antonio, would then ask the girl for permission to speak to Rylie. After “listening” to Rylie, Corley would say something like, “Rylie tells me that you have been feeling sad. Can you tell me about that?” Relaying the conversation through Rylie helped the girl begin to talk to Corley about her trauma. Rylie has other ways of telling Corley about what a client is feeling. If Rylie perceives a lot of sadness and stress, she will lie on Corley’s feet. To communicate the presence of anger or frustration, she sits on Corley’s feet. Rylie’s physical signals — natural behaviors that Corley reinforced through training — can be especially helpful for adult trauma survivors who have difficulty recognizing and labeling their own emotions. When clients are talking about their trauma, Rylie can let Corley know that clients are becoming upset before their distress triggers a traumatic reaction. Rylie also sometimes gently urges clients to talk. If clients sit in session for an extended period of time without talking, Rylie often will go over and push their knees with her paw. She will keep doing this until they say something, Corley says. Because Corley sees clients who are experiencing physical abuse or engaging in self-harm, Rylie is trained to spot injuries such as superficial cuts and bruises underneath clothing. Rylie will then alert Corley, using her nose to pinpoint an area with injuries. Rylie will keep coming back to the area until Corley acknowledges the signal. Rylie’s information provides Corley an opportunity — either immediately or in the future — to initiate a conversation about the injuries. Rylie also strives to provide a sense of safety, according to Corley. If clients are feeling vulnerable, Rylie will move toward them to physically surround them in a protective manner. She will also protect them by accompanying them to the door when it is time to go. It is crucial for counselors who are interested in AAT to understand how proper training protects both their clients and the therapy animals themselves, Chandler says. She and Stewart emphasize the importance of recognizing signs of stress in a therapy animal and realizing when an animal doesn’t want or isn’t able to work. Although programs that grant certificates for AAT — such as the one at Idaho State — are becoming more common, it can still be difficult to find training, Stewart acknowledges. 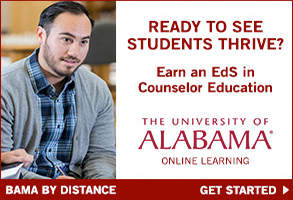 Courses are available online, but she says that those alone are not sufficient; counselors must do formal coursework. 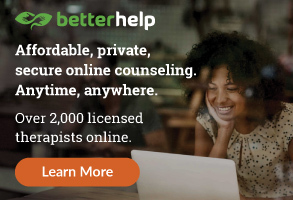 She recommends that counselors who are having trouble finding appropriate coursework contact ACA’s Animal-Assisted Therapy in Mental Health Interest Network (see “Additional resources” sidebar, below). This was a timely article as I have just begun working with a horse who was previously abused and recovering from injuries. I hope to ultimately adopt this horse, rehabilitate it and employ her with future clients, particularly those with autism. I literally came back from the ranch after meeting the horse and saw this headline article in the magazine! It is kismet! 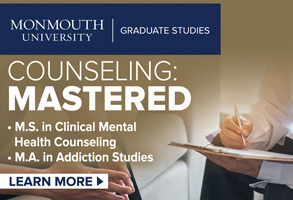 Thank you for helping me understand the process through which one can become certified and how to connect with others who are interested in this field.